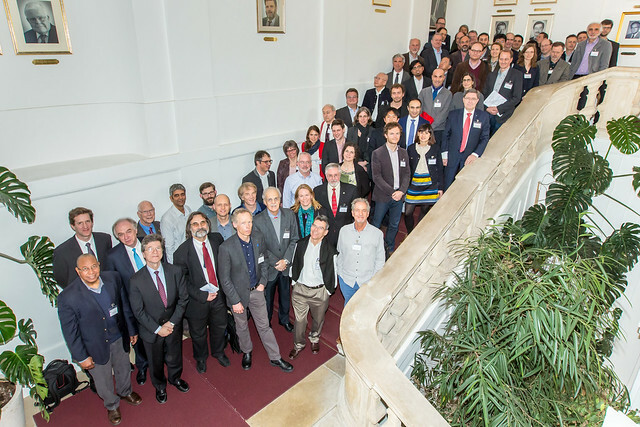 On 7-9 March 2016 50 high level representatives from leading research institutes met for the second annual workshop of the World in 2050 (TWI2050) project and to participate in the kick-off of the technical phase of the project. One of the most pressing issues facing the global community post-2015 is how to realize the benefits of future global economic development within a safe and just operating space of a stable planet. There is overwhelming evidence of rising global risks due to ever increasing human pressures on the planet. Ensuring future sustainable development will require economic development within sustainability limits and budgets for key natural resources and environmental processes that regulate ecosystem and planetary resilience. The TWI2050 project will build a small consortium of leading research and modelling teams to advise world leaders on the feasibility and implications of integrated sustainable development pathways. TWI2050 was launched in March 2015 by International Institute for Applied Systems Analysis (IIASA), Sustainable Development Solutions Network (SDSN), the Stockholm Resilience Center (SRC) and the Earth Institute at Columbia University. The official launch coincided with the first workshop on 10-12 March 2015 held at IIASA in Austria. The meeting was a great success both in attendance and in expressions of interest to join the initiative. There was a confirmed shared interest to work together to develop a truly integrated sustainable development pathways. These pathways should run through at least 2050 to allow a glimpse of long-term trends and compliance with the planetary boundaries while also capturing the role of improved technologies and transformations of ICT, energy, agriculture, health, economics, human capital, governance, and institutions; there was a shared agreement that these pathways should be global and chart out pathways within the safe operating space or planetary boundaries. However, to be useful to policy makers, the analysis needs to be downscaled to major regions, and the core requirement for an SD pathway must be that it maps out a feasible and acceptable pathway for each of these regions. 2015 represented a unique historic opportunity when the world’s nations agree on a comprehensive and universal global agenda for sustainable development though the adoption of a set of Sustainable Development Goals (SDGs). These goals (with their accompanying targets and indicators) will provide an aspirational narrative for the desired future for human development in the world – a world free from hunger, injustice and absolute poverty, of inclusive and universal economic growth, based on transparency, dignity and equity. Today, the necessary integrated comprehensive quantitative understanding of scenarios for achieving sustainable development, accounting for the various inter-linkages between the economy, technology, environment, climate, human development and planetary boundaries, does not exist. With the adoption of the SDGs, the world will set out very clear and ambitious global goals across social, economic and environmental areas, and although there is recognition that there are interactions between and among these goals (e.g., between energy and climate, between food security and ecosystem, etc.,) there is, as yet, no attempt to assess the viability of achieving these multiple social-economic-environmental goals simultaneously: How deep does the sustainability transformation need to be in order to meet hunger, poverty, energy, growth goals while meeting global environmental goals; What are the synergies and trade-offs; and What are costs of pursuing social goals without meeting sustainability goals. The World in 2050 Project (TWI2050) will explore the implications of the necessary transformative sustainable development pathways and the possible ‘degrees of freedom’ to meet economic development goals within a safe operating space of a stable planet. This project will serve the global community with analyses of pathways the world (sectors, nations, communities) can take to attain these internationally agreed sustainable development goals within planetary boundaries, and to monitor progress and success towards their achievement. It will enhance the understanding of the requirements of desirable and feasible sustainable development pathways. This will fill an urgent gap, of analyzing the options, feasibility and consequences (socially, economically and environmentally) of transitioning to pathways to sustainable development. The project will explore avenues to achieve sustainable development pathways, by back-casting from desired development outcomes as defined by the SDGs. The initiative will combine recent advancements in economic modeling and Earth system science to study the interactions between economic growth and global sustainability for sustainable development (SD) pathways. It will use existing global assessments and scenarios (e.g., the SDSN Deep Decarbonization Project) and integrated assessment models (e.g., MESSAGE, IMAGE, and IMPACT/ GLOBIOM/GAEZ) to evaluate the linked impacts of global food policy, ecosystem changes, climate change and energy use. The transformative pathways will serve to identify short-term actions for achieving sustainable futures and their co-benefits e.g. for health or security. Current trends as captured by business-as-usual (BAU) developments will help identify costs and damages of inaction. By integrating several world-class models in key sectors (energy, food, population, education, macroeconomics, biodiversity, climate, etc.) the project will produce paradigm-shifting narratives and scenarios that will significantly expand the capacity to carry out integrated assessments of critical pathways. Importantly the project will examine the interactions among all the SDGs to explore the potential for co-benefits and/or trade-offs of addressing multiple SDGs at the same time, which can provide critical information for policy and investment decisions. This will allow the project to generate the 1st generation of global scenarios that meet the twin objectives of economic growth and planetary stability and thus provide improved evidence, including macro-economic assessments, to political leaders in the SDG process, and other key decision makers, on the feasibility, challenges and opportunities associated with meeting long-term development goals, i.e., development goals that are truly sustainable at a global scale. The project will be implemented under the auspices of the Leadership Council of the UN SDSN and the Alpbach-Laxenburg Group to ensure that it has global reach, and that it contributes to increasing awareness and knowledge across disciplines and sectors through its intentional and cross-fertilization nature. The work will be coordinated by Pavel Kabat, Director of the International Institute for Applied Systems Analysis (IIASA), Nebojsa Nakicenovic, Deputy Director General (IIASA), Johan Rockström, Director of the Stockholm Resilience Center at Stockholm University, and Jeffrey D. Sachs, Director of the Earth Institute at Columbia University. A public event on 9 March at the Austrian Academy of Sciences in Vienna to address and debate geopolitical complexities and tensions in many regions of the world, migration, refugees, education, and other issues among academia, politics, and governmental agencies.